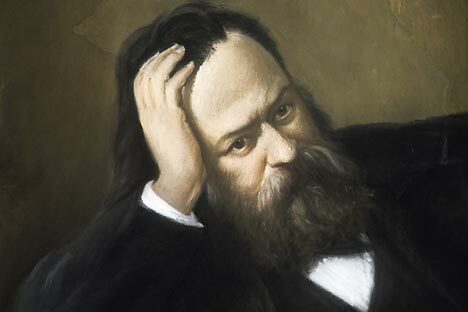 This year, Russia celebrates the 200th birthday of writer and political thinker Alexander Herzen. Are his dissident views still relevant given the current state of Russian politics? While still a student at Moscow University, Herzen and his associate Nikolai Ogarev became the center of a circle of thinkers that discussed ideas of freedom and equality. As a result of his association with such people and ideas, Herzen was arrested and spent several years in exile to remote corners of Russia, including Perm, Vyatka, and Novgorod. He did not start any genuinely dissident activities, however, until he was in exile, where he could openly voice his liberal views. As a matter of fact, Herzen was haunted by disappointments. He started out as an ardent Westernizer. With an appreciation of German philosophy and admiration for French socialism, Herzen traveled extensively in Europe, but was disappointed by the revolutions that rocked the continent in 1848 and their results. His faith in the potential of ordinary people was his last refuge, and he became a kind of evangelist for it, converting Russia's liberals and revolutionary-minded intellectuals to his beliefs with missionary zeal. But the young people who heeded his call and flocked to the villages were soon bored teaching peasants. Although there had been dissidents in Russia before Herzen, it was his convictions that shaped the Russian, and later Soviet, dissenter. There are five major differences between a dissident and an ordinary citizen. The first one is raw conscience. No dissident can enjoy life at the expense of other people’s suffering. Second, a dissident believes to the bitter end that good will save humanity. The third difference is a determination to act – dissidents must muster up the courage to step forward in front of a crowd. Quixotism is the fourth distinction. Russian dissidents rarely hope to succeed any time soon – they are always part of a narrow circle removed from ordinary people. Fifth, dissidents never resort to violence. Herzen meticulously observed this principle, condemning the Jacobin ambitions of Marxists. Herzen would most likely have been horrified to learn that the sound of his Kolokol eventually awoke Bolshevik-type revolutionaries. This article was compiled from information provided by Ogonyok magazine and Radio Liberty.